Big M&A opportunities are few and far between in the sector so news from Bloomberg that Western Union (WU) is looking to sell its business arm (WUBS) is noteworthy. 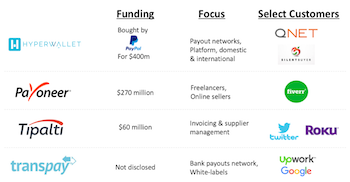 The size of the checks being written within the international payments space is increasing as companies continue to grow and they are requiring more capital to scale. 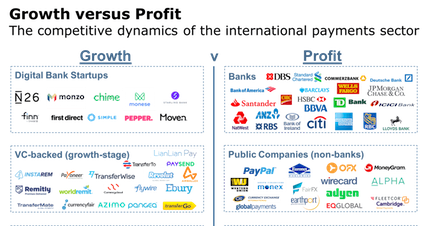 New and great products are so often associated with growth companies, whereas deep compliance expertise is mostly held by the banks and more mature companies. 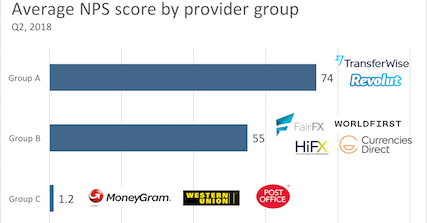 To win in international payments, you have to be great at both. 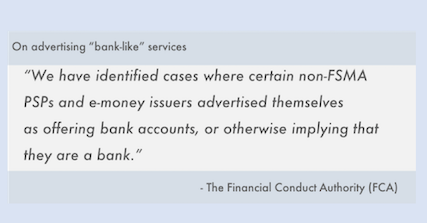 Last week, the UK's Financial Conduct Authority (FCA) announced they are planning to change the way payment companies can market their currency and "bank-like" services. 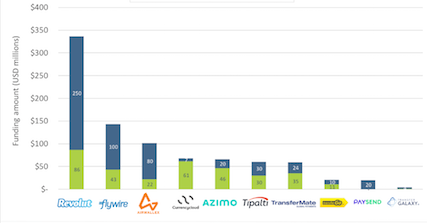 US public company Euronet, worth over $4bn, owns three prime brands in the money transfer space. 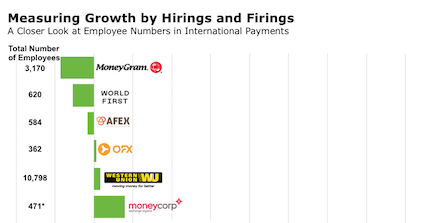 Ria (focused on remittances), HiFX & XE (focused on international payments). Yesterday, Euronet announced their 2018 Q2 results. 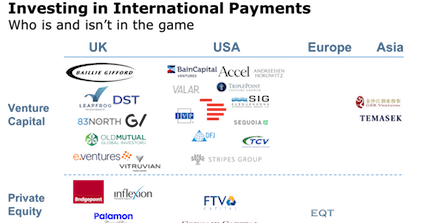 Where do international payment companies stand in a trade war? 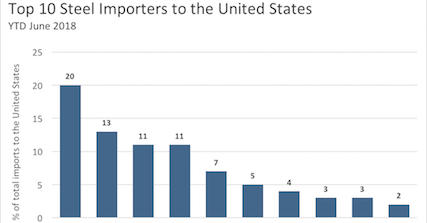 As tariffs are meant to discourage international trade, a natural result of tariffs will be less international payments. International payment companies should plan on payments slowing down, and begin exploring alternative customers and industries that escaped tariffs. How viral is your product? 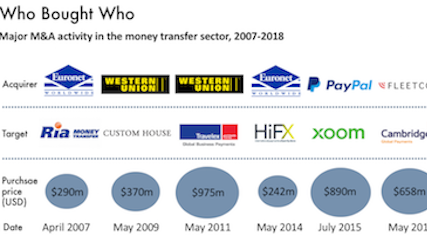 The fastest growing companies in the money transfer space, such as Revolut and TransferWise, have highly viral products. How do you measure how viral a product is? NPS. 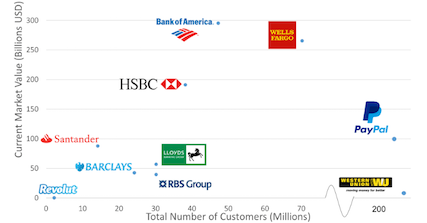 PayPal's brand awareness is similar to major banks. It has a share of wallet in many, many businesses and this will only increase as they expand their credit and early payment product sets. And while the company's international focus is currently centered around the UK, Europe, Australia, and Canada we expect further expansion to follow. PayPal buys mass payments specialist Hyperwallet. 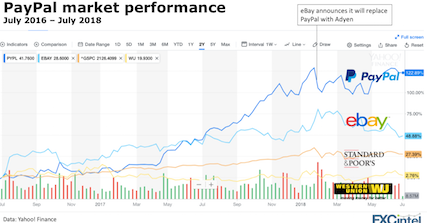 Research on Payoneer, Tipalti, Tradeshift and other companies. Can Revolut make enough money per customer to take a meaningful enough share of wallet to really play with the big banks? 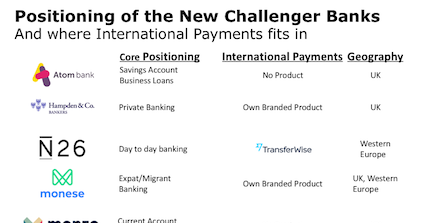 The challenger bank landscape is beginning to shake out as each bank finds its market position. All are in heavy development and acquisition mode, fueled by hundreds of millions of dollars of fundraising. 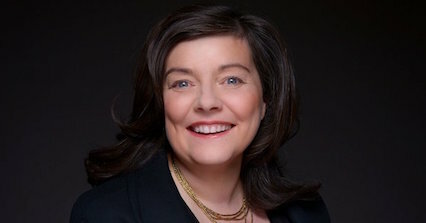 Starling Bank founder and CEO, Anne Boden, was ahead of the curve. She spent more than a few years at big banks - she forged an entire career there before moving on to found Starling Bank in 2014. I've recently attended Money20/20 Europe in Amsterdam, uncovering the latest innovations in international payments and discussing the state of the industry. 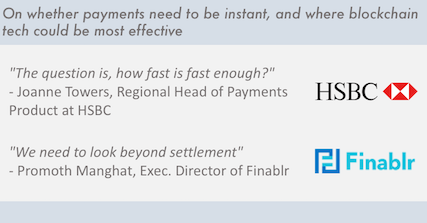 Cross-border payments remains one of the most complex parts of the industry. 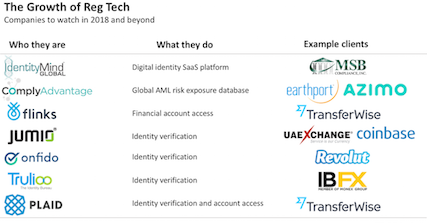 If 2016 and 2017 were all about international payments, it seems 2018 and beyond will be focused on the regulatory technology needed to support those payments.